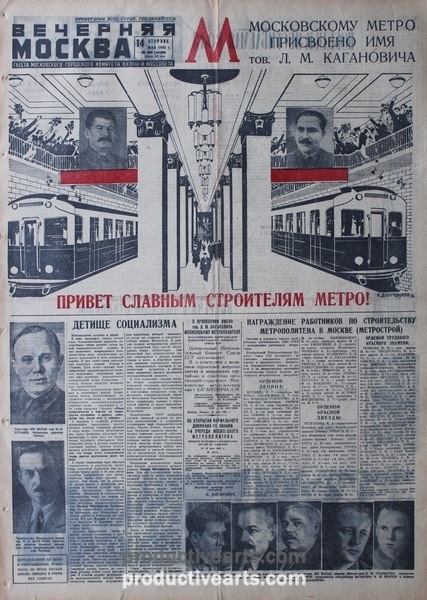 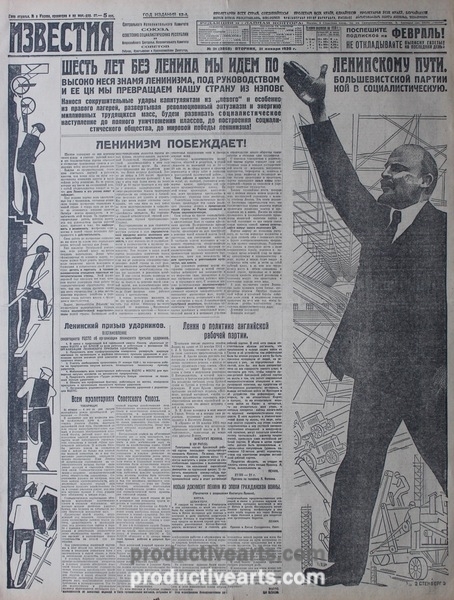 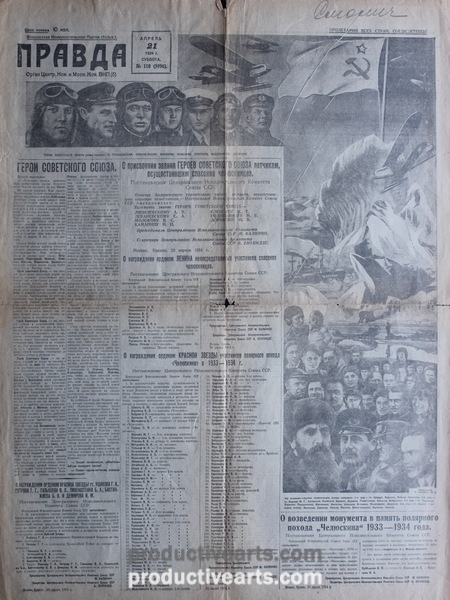 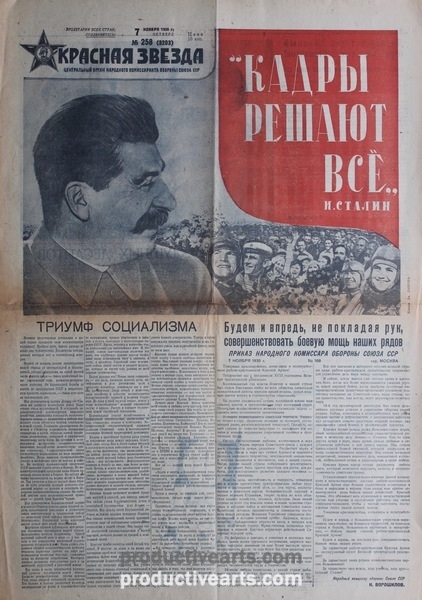 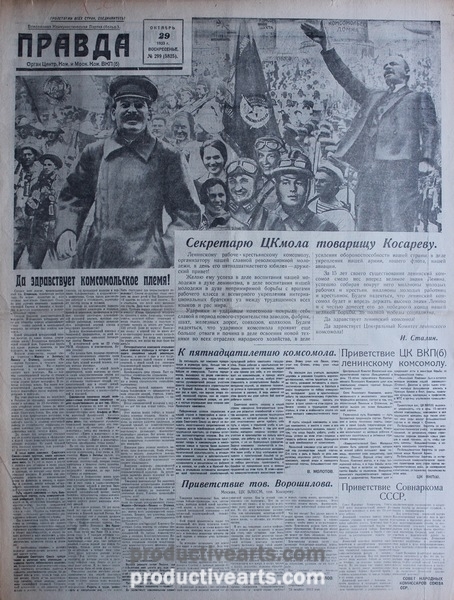 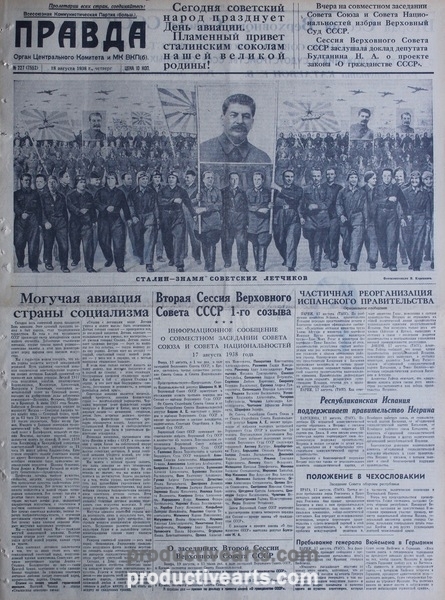 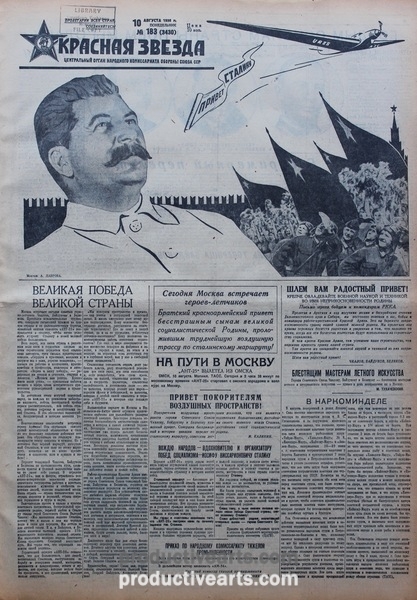 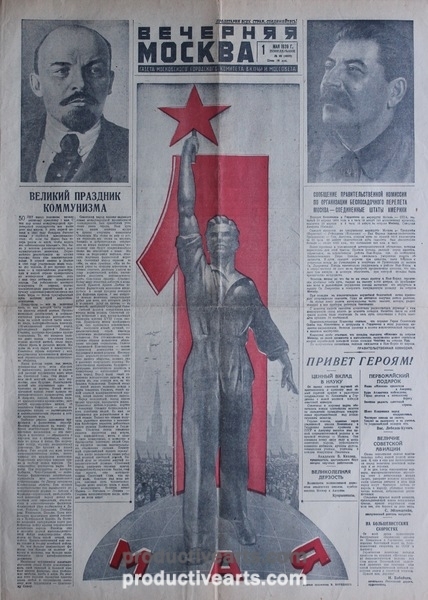 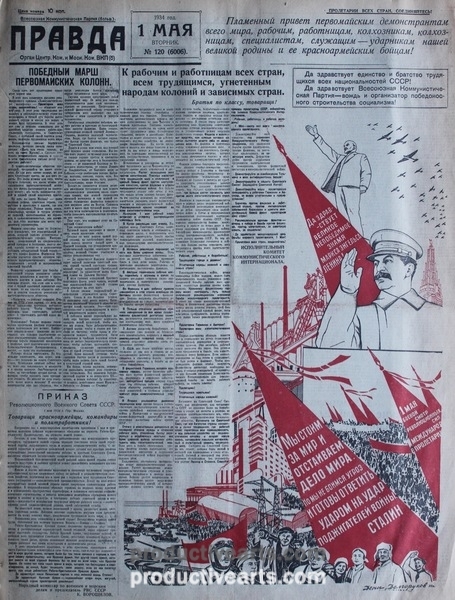 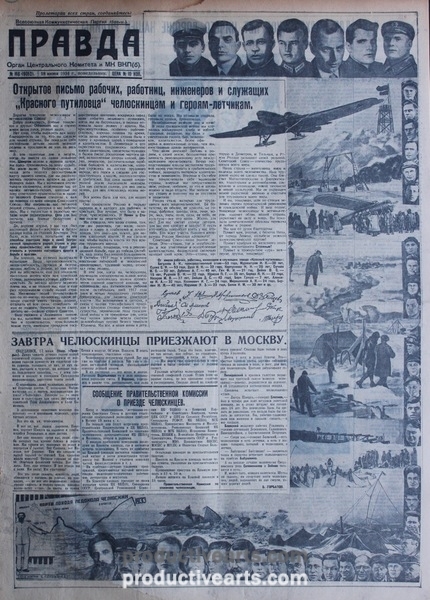 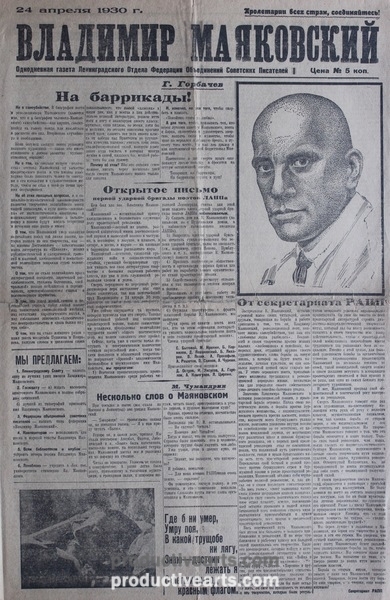 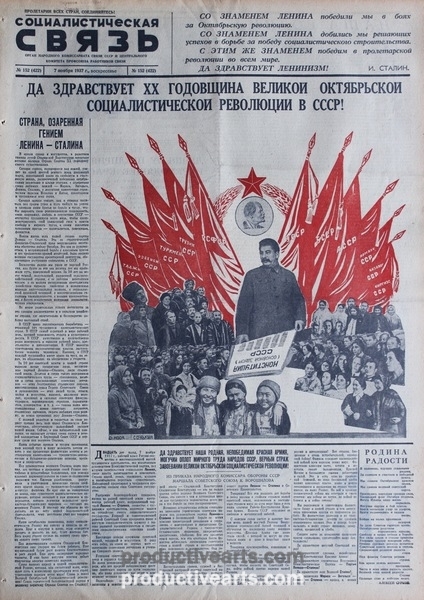 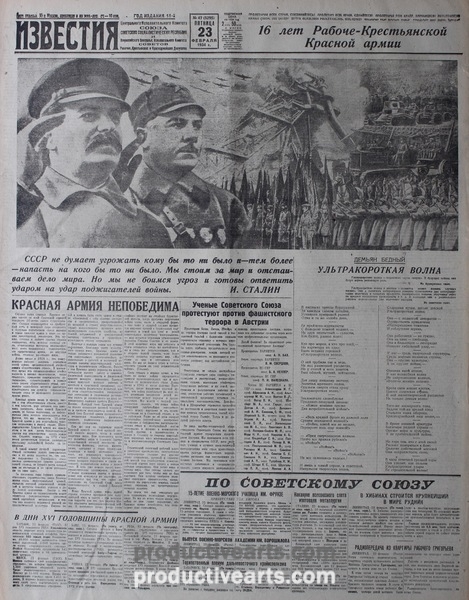 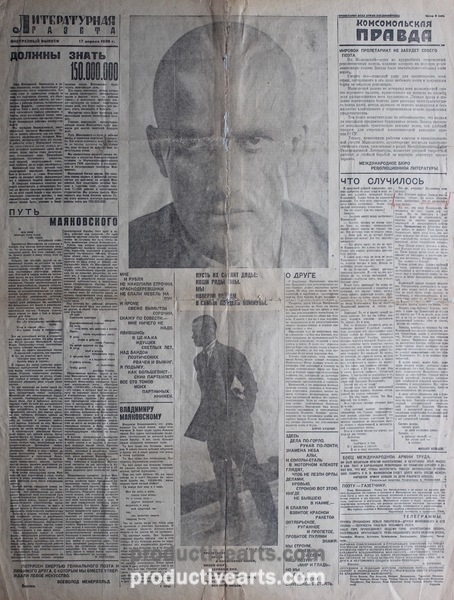 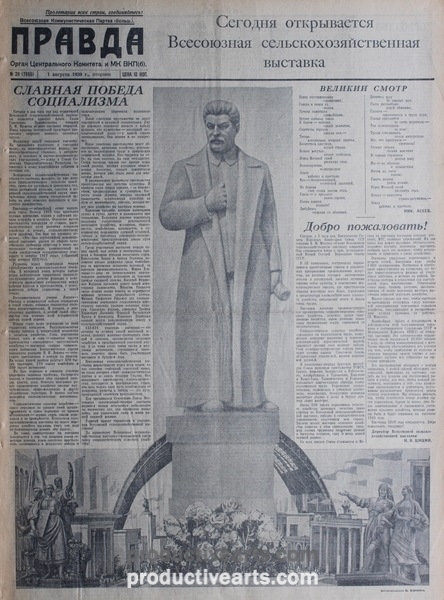 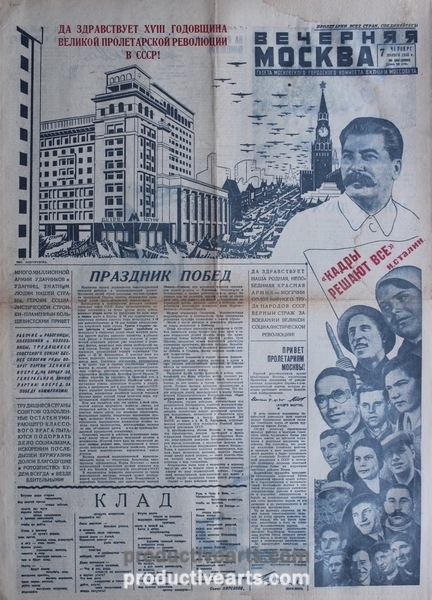 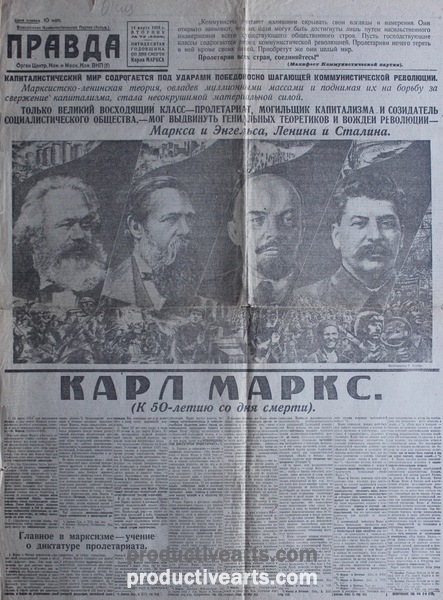 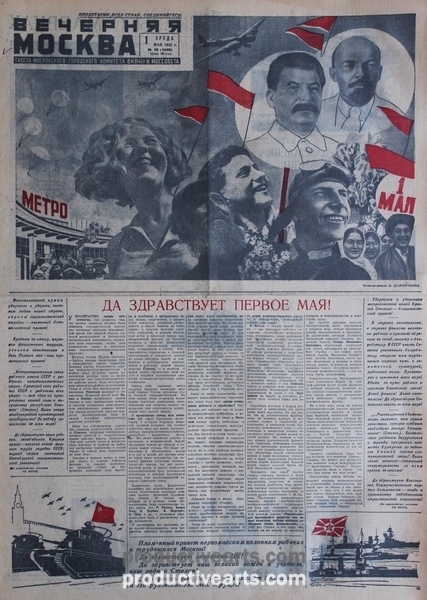 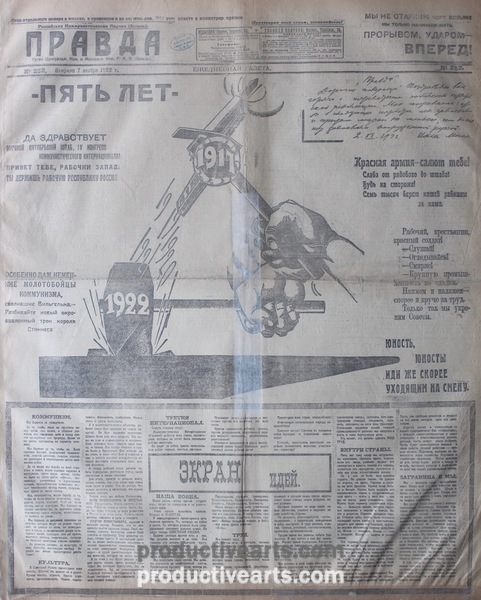 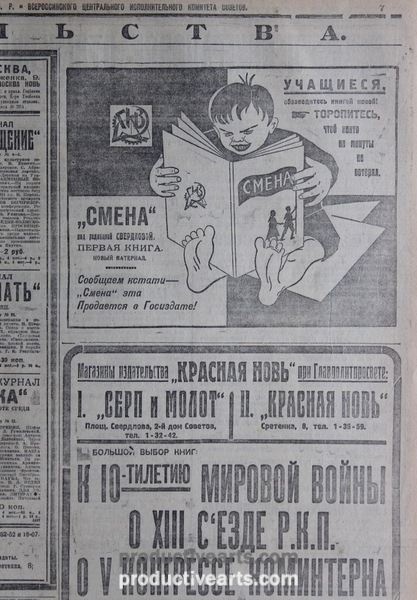 This select collection emphasizes Soviet graphic and photo design in the newspaper medium that is less studied than books, journals or posters. 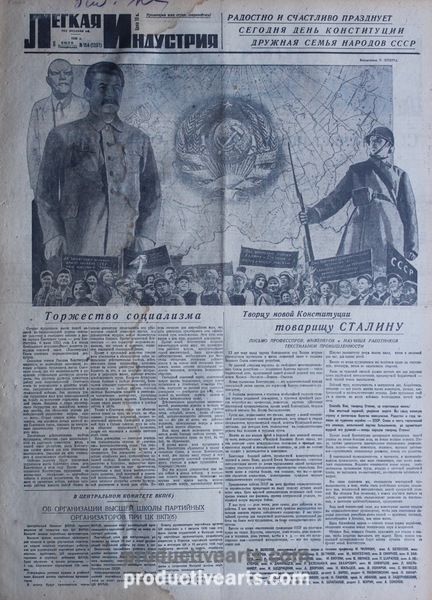 While Pravda and Izvestia are included in this collection, there are also specialist and provincial titles providing context and perspective. 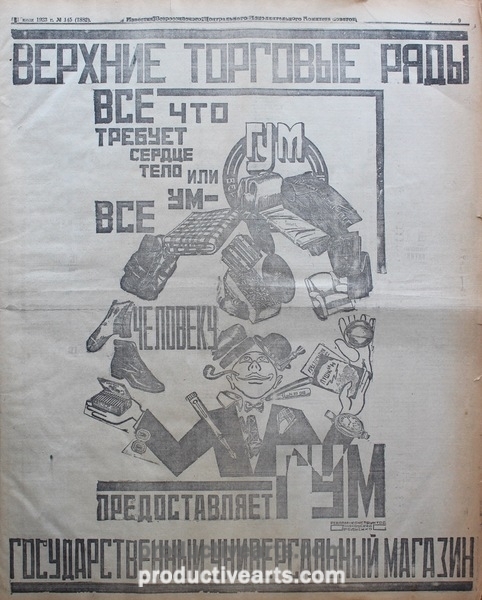 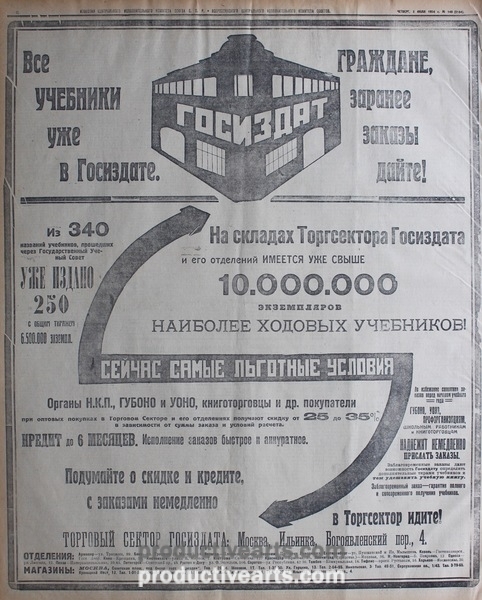 Major designers such as Lissitzky, Klutsis, Rodchenko, Mayakovsky, the Stenberg Brothers, Dolgorukov, Koretsky, Senkin, Moor, Deni and Klinch are represented in this collection, but work in the group by lesser known or anonymous designers measure up well. 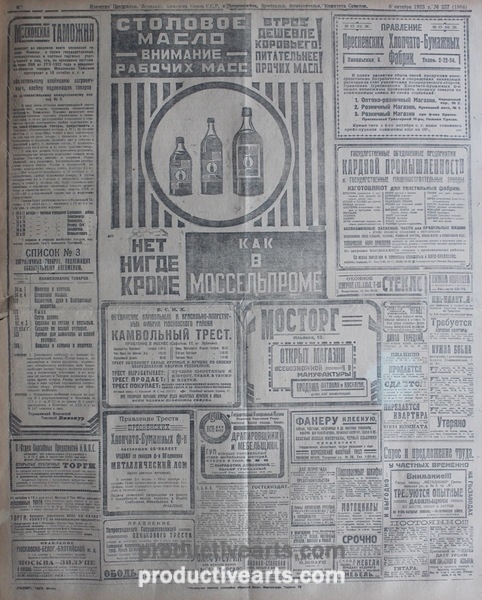 See examples from the collection.